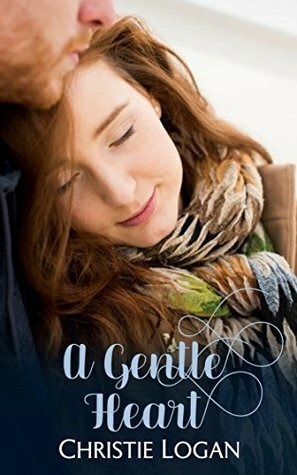 A Gentle Heart (2018) by Christie Logan is the third novel in her Holidays in Applewood series. This novel comes in eBook form, and is 123 pages in length. With a full-time job and quite the boisterous six-year old at home, this book took me one day to read. I received a review copy of this novel in eBook form from the publisher via Kathy at I Am a Reader. In no way has this influenced my review. The opinions expressed in this review are my own. I give A Gentle Heart 3 STARS. 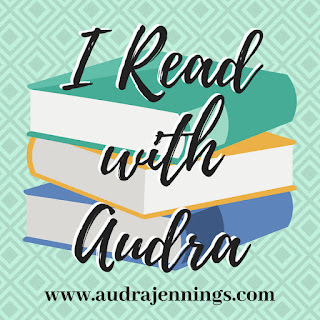 This novel is a Contemporary Clean Romance. Ambitious businessman Alex has big plans for his life, and getting dumped by his fiancée won’t sidetrack him. He’ll have to face her again at an important professional function, but he won’t let himself be the object of pity and scorn. What better way to show the world—and his ex— how well he’s doing than to arrive with a beautiful woman on his arm? A woman he finds, of all places, behind the lingerie counter of a department store. Tyffanie has dreams that extend far beyond her sales counter, but she’s been burned by men only interested in her looks. Deep inside, she’s still the gawky, freckle-faced girl other kids used to tease. When handsome, successful Alex enters her life, everything changes. He’s the first to look beneath the surface, respect her, and care about her hopes and dreams. Alex discovers there is far more to Tyffanie than outward beauty. He’s falling in love with her kind soul and gentle heart when he must decide how far he’s willing to pursue success and all its trappings. Because his need to win at all costs may cost him Tyffanie’s love. I am torn when it comes to reviewing A Gentle Heart. I enjoyed some aspects. It is sweet, highly engaging, and fast-paced. Most characters are written well and are quite realistic. And, it does have the expected happily ever after. But, I dislike intensely the hero of this story. Tyffanie, the heroine of A Gentle Heart, is a sweet character. She is endearing, but a bit naive. Tyffanie comes from a very sad background and because of that background, she does not have a lot of confidence in herself or her abilities. I do appreciate that Tyffanie refused to allow her past to make her a bitter or angry person. She is one of the nicest characters I think I’ve ever read. She truly has a heart the size of Texas. This heart shows through every day in the work she does for a living. Tyffanie works at a lingerie store. Her specialty is helping women who have suffered breast cancer and have had mastectomies as part of their treatment. In a small way, Tyffanie helps these women regain their femininity and sensuality. Personally, I found Tyffanie’s drive to help these women admirable, and her passion for her work really made me appreciate her character. Alex, the hero of this story, is awful. I hate that I am writing something negative because I never like to do that, but Alex bothered me from page 1. He redeems himself around the 90% mark, but for me it was too little too late and completely unbelievable. Alex is a very selfish, self-focused man. He cares SO much about what the world thinks. He’s got to have the perfect expensive coat, the perfect girl friend, the perfect car, etc. He is a collector of things. But he never appreciates, respects, or loves these things. He never considers any other person but himself. For example, he tries to take his mom out for fancy meals at high-end restaurants so he can impress her. His mother would prefer to stay home and cook for him, but that doesn’t suit Alex. He wants to prove to her that he has made it big time in this world. It’s all about him. He never considers what his mother wants. And that isn’t even the worst of his crimes. The worst is that he purposely hurts Tyffanie’s feelings for his self gain. I don’t believe Alex has a single respectful bone in his fictional body. This is the first time I hoped the hero wouldn’t get the girl. This novel is easy to read, engaging, and fast paced. I did appreciate Tyffanie’s character and her heart for helping other women. But, Alex’s character just isn’t my cup of tea. I don’t buy his “redemption” story one bit. Perhaps if the redemption moment came earlier in the story line and I watched Alex make personal/behavioral change I would feel a little more appreciation for his character. But, as the novel stands, Alex hurts my opinion of the story. Sounds like a book that could have different views. Characters comes in all shapes and sizes. Some readers likes different story lines. Even after reading the review I am still interested in reading the book.